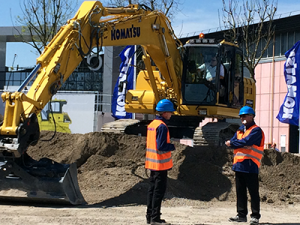 Intermat 2015 launched the first OEM intelligent machine control for excavators courtesy of Komatsu. Axiomatic attended the show held in Paris, France this past April 2015. Bucket position controls on an OEM machine.